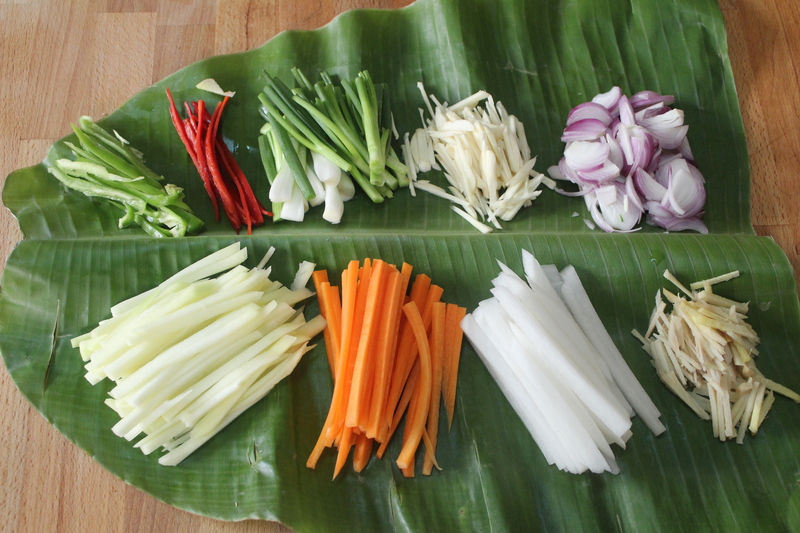 Having completed 13 months in Cambodia, I have started learning a few khmer dishes. 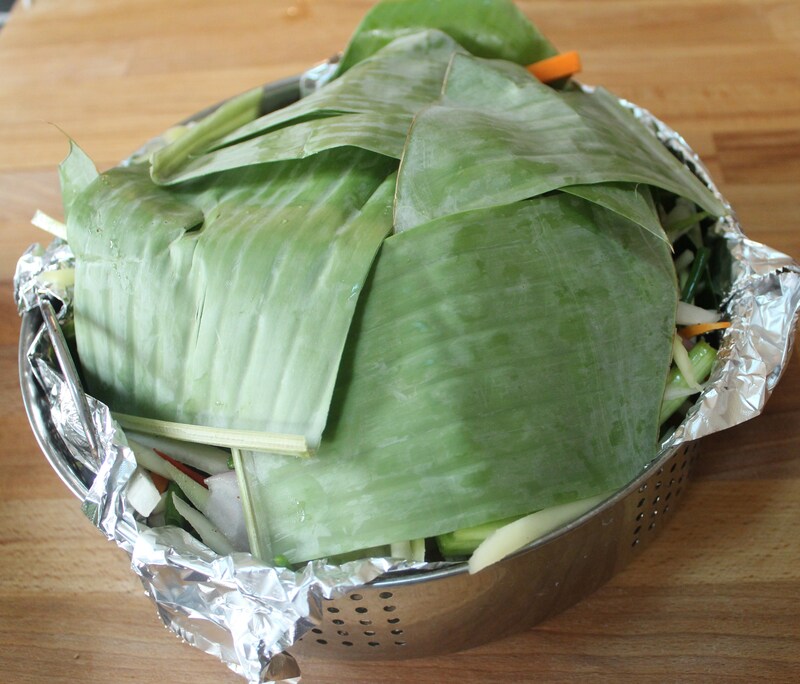 Thanks to my helper and a good friend ‘D’, we not only relish the local cuisine but additionally enjoy it making at home – just a short commutation of the dish from kitchen to dining table. 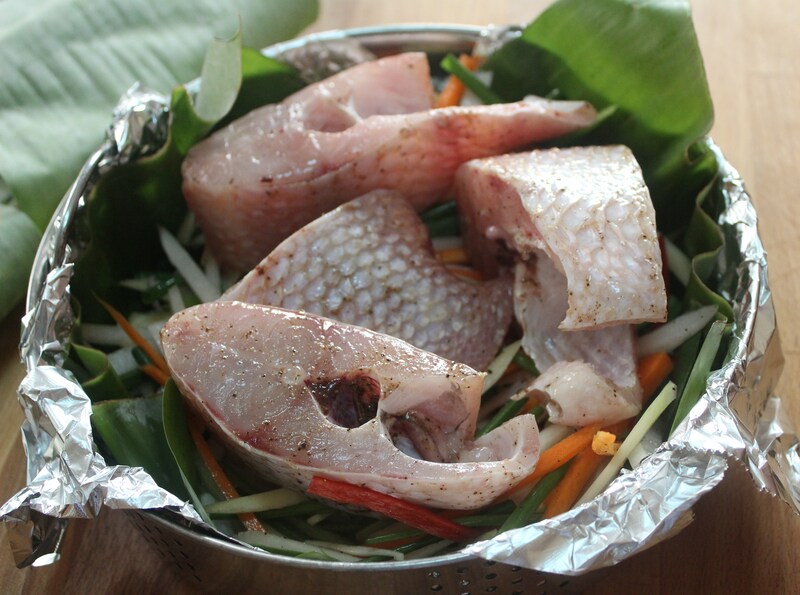 In the Kingdom of Cambodia, Fish is a staple, and it can unambiguously be said that “Fish enjoys almost the royal status of Rice.” A true convert that I am, I do not miss the country flavor of the local fishes. 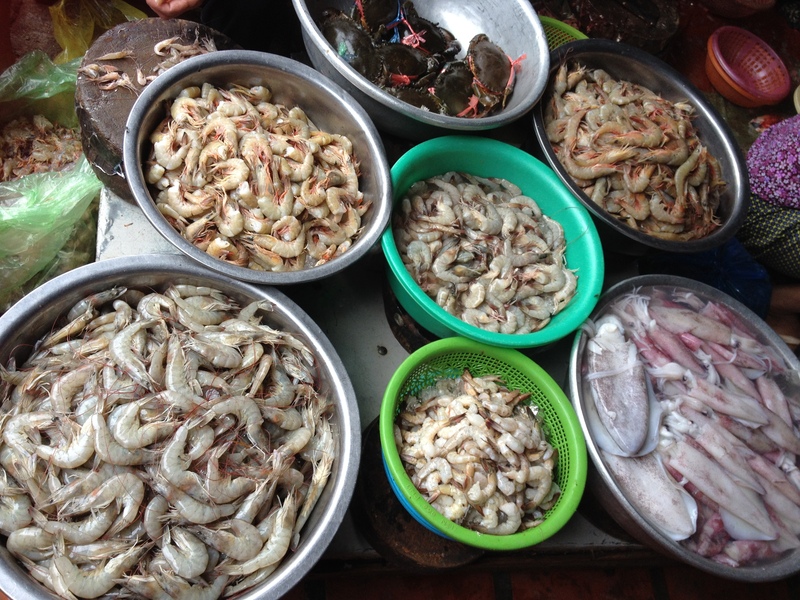 The staple diet of Khmer is fresh water fish. 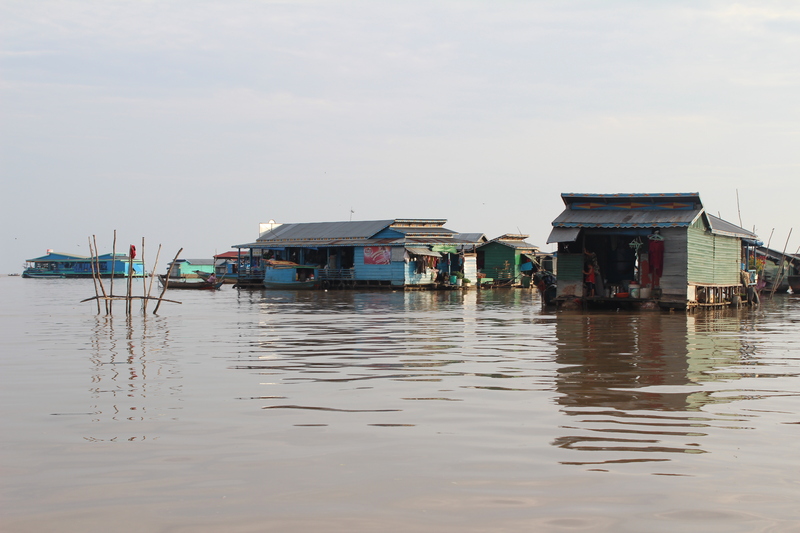 With the abundant supply of fish (said to be 600 different species in the Tonle Sap lake), it is not surprising that the Khmer love to eat fish! 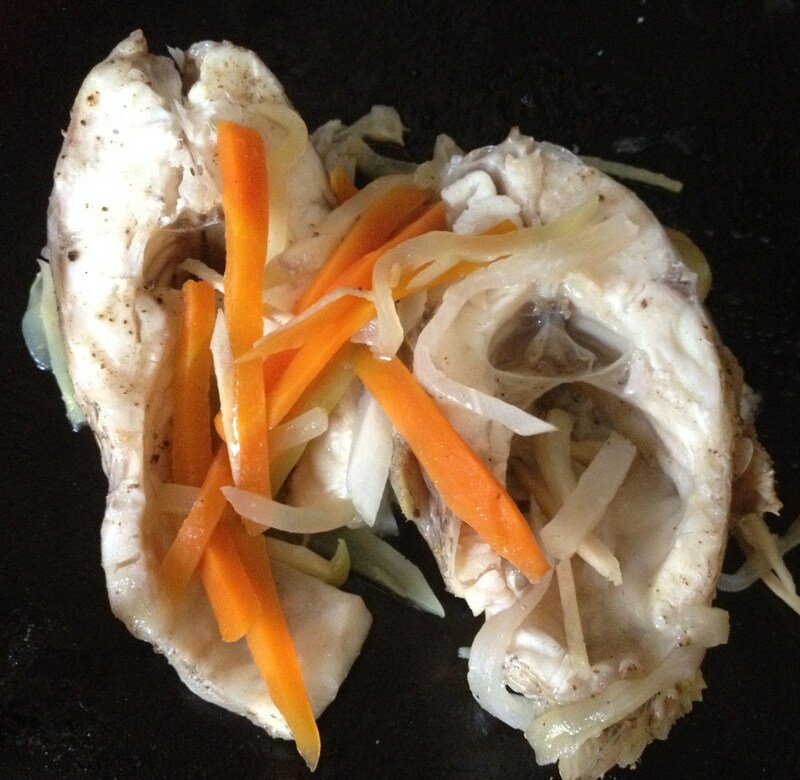 I am also a picky eater when it comes to fish – lesser the bones easier for me and I suppose for most of those who are reading this post too. But, with the very little knowledge that I have gained within these years about fishes, I keep one thing in mind – smaller the fish , lesser the fat. Certain varieties of smaller fish may be less in Omega 3 but are certainly less in the mercury content and hence safer. 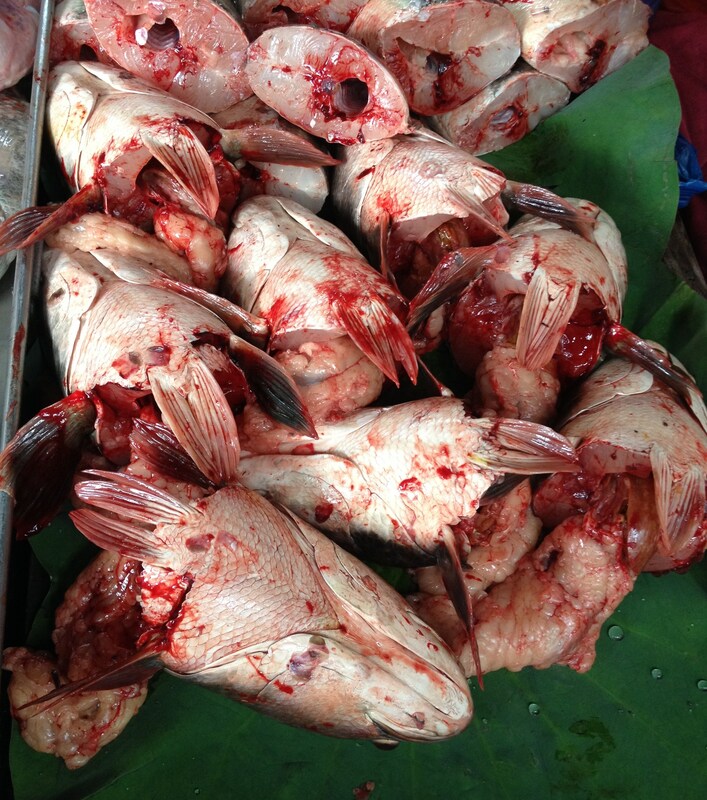 So, I get any fish with a maximum weight of 1 kg and mostly 2 fishes at 1.75 kgs put together. 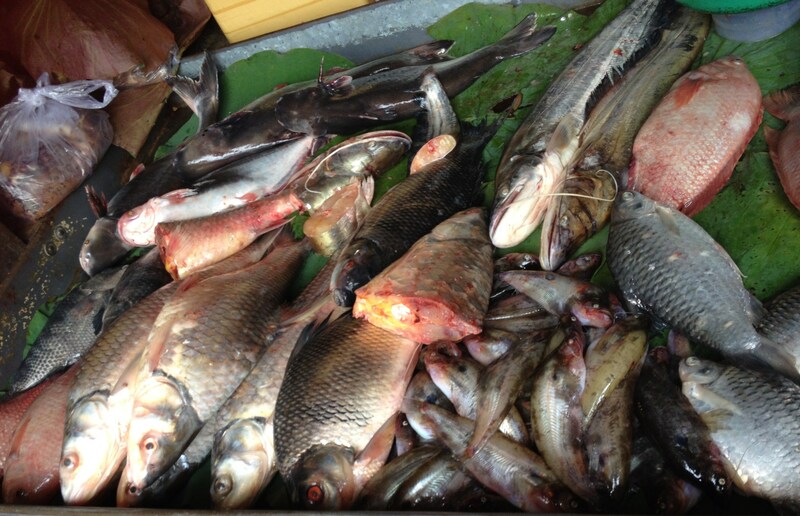 This is for my Meen Kuzhambu (fish curry), Varutha Meen (fish fry), steamed fish cambodian style or a cambodian fish soup. 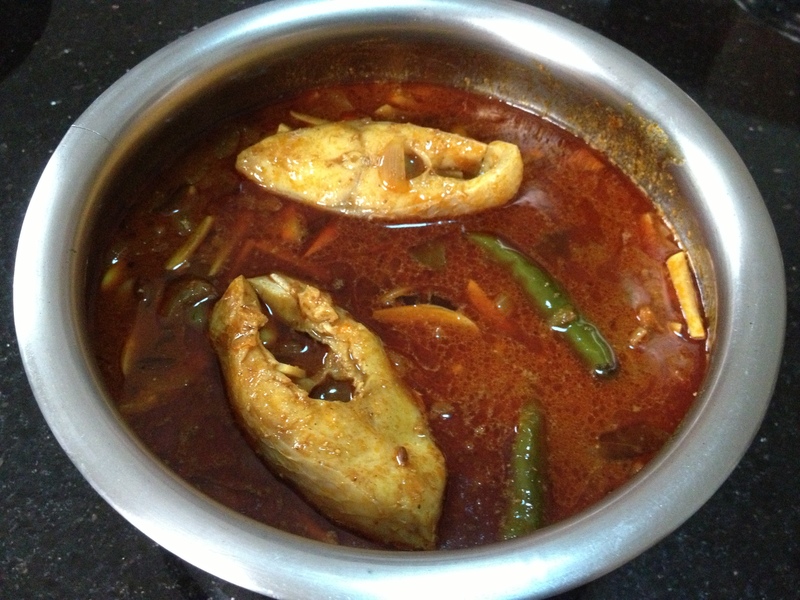 I also buy the somewhat look-alike neththili of Chiriya Meen (very small fish) – (https://dosaikal.com/2013/04/05/varutha-meen-varutha-kathirikkai-with-thaalicha-paruppu-pan-fried-fish-and-pan-fried-eggplant-with-seasoned-lentil) – fishes as small as half your index finger, which also make the best healthy crispy chips on earth, while grilled in the oven. I find some fishes have a distinct smell or flavor of the soil. 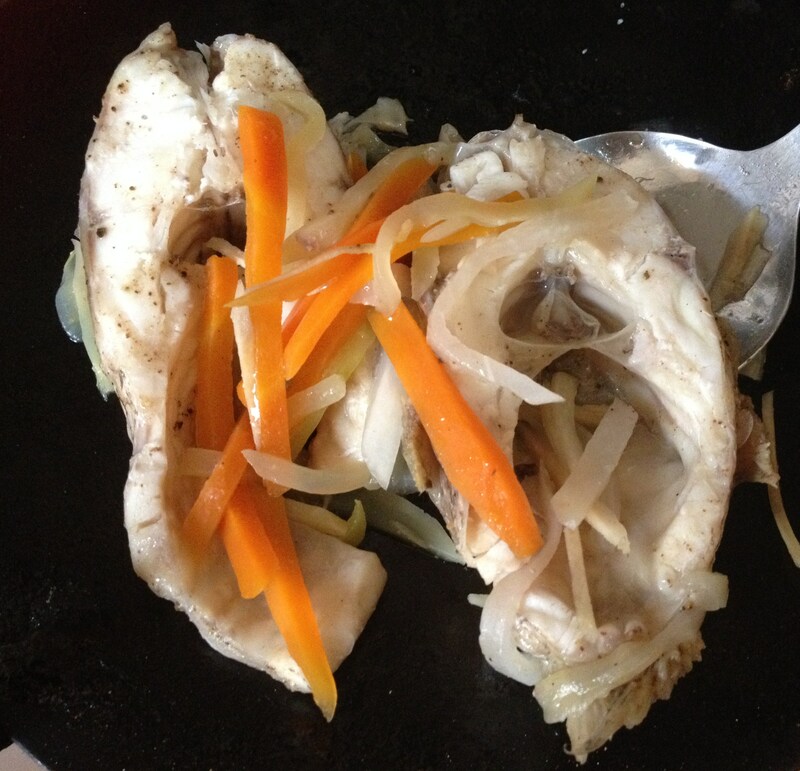 Yes, the fish when cooked has a muddy flavor. Yet, I am not competent enough to identify the differences in taste of river or sea varieties. 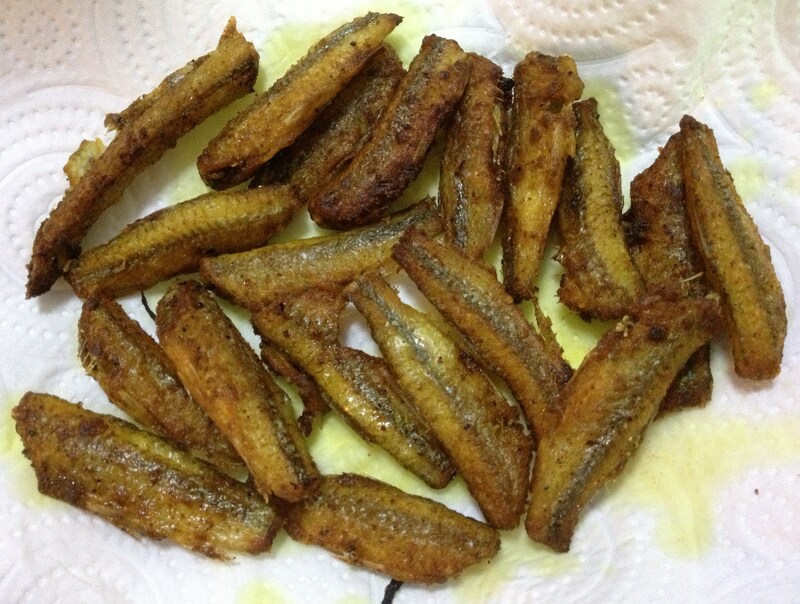 I know there are genetically marine souls over there who feel those tiny fishes make wonderful kuzhambus/curries and thokkus/thick curries. That’s not for lazy, fearful converts like me- the very thought of removing bones or chewing with the bones threatens me! 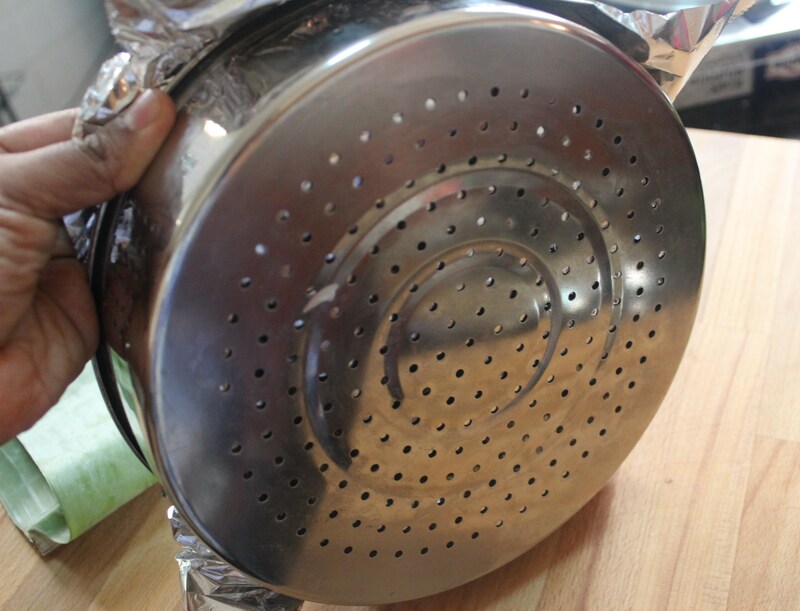 Above all, there is also the attached mistrust of the younger lady of the house aka daughter, who prefers appa when it comes to removing bones from cooked fish. “Amma always keeps a few bones and it is so risky you know…” she says – Good for me and one job less in my pocket! Trey is Fish in Khmer. 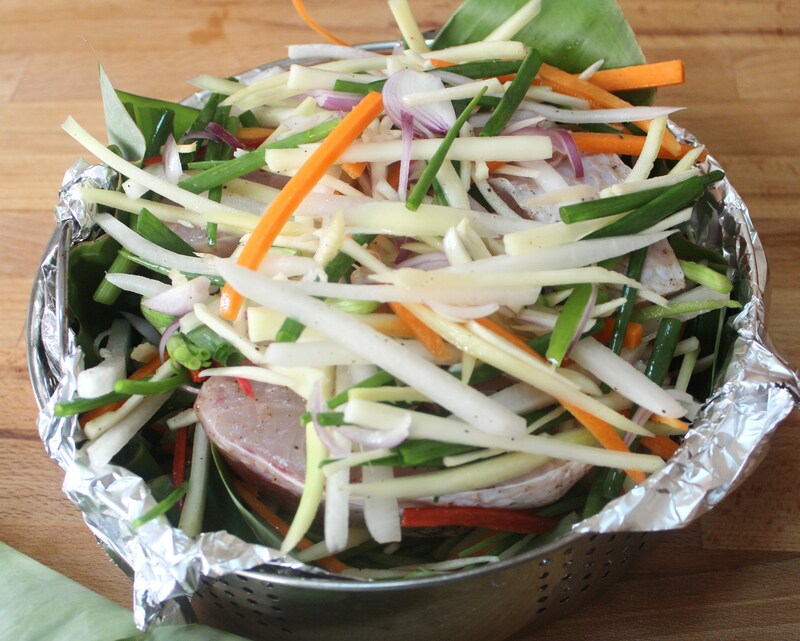 This one is the version of my Khmer friend who also cooks good Indian food. 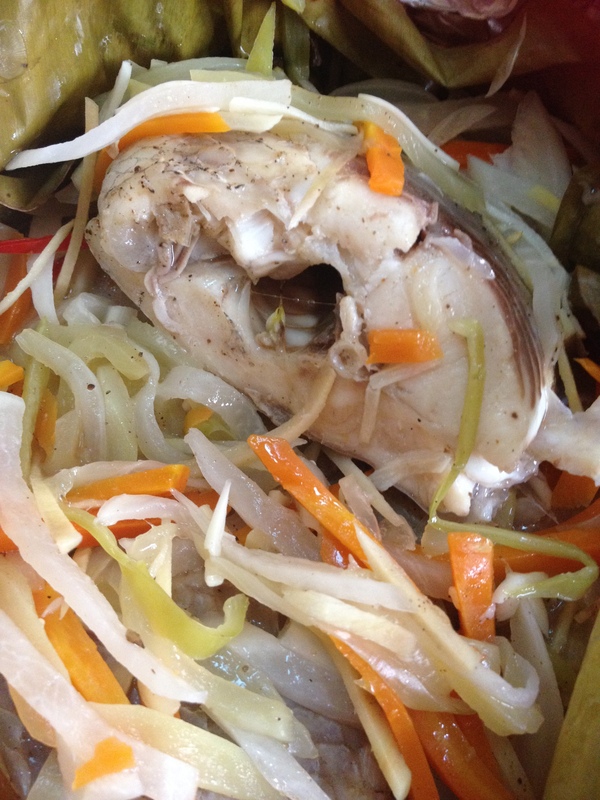 So, please let me know of the changes you make in your Cambodian steamed fish! 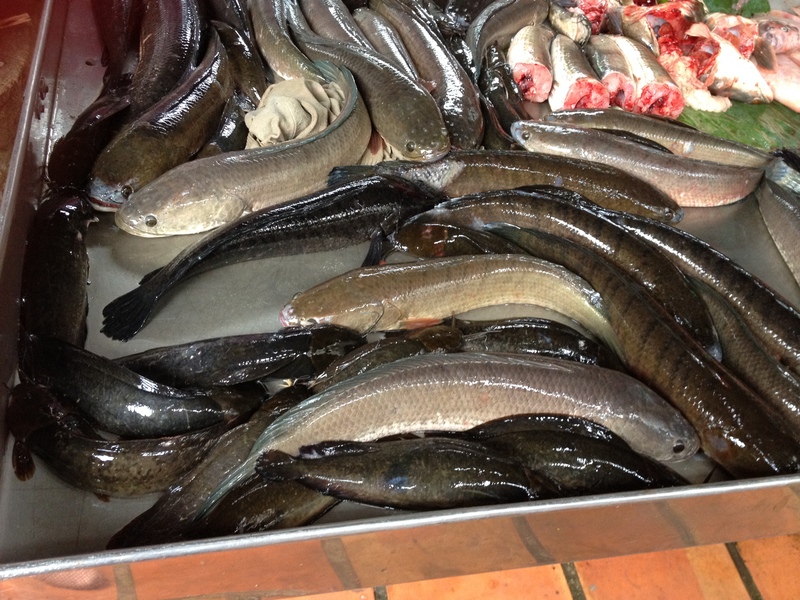 Yet, I promise I did not make any Indianised Cambodian Fish.. 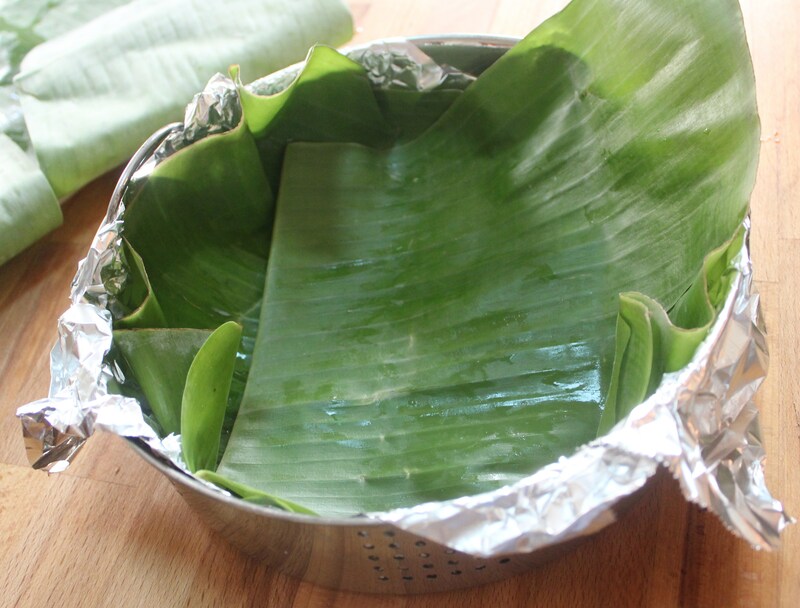 This one has the flavor of raw mangoes and is steamed in banana leaf. I use two fishes 1.75 kgs put together. I do not use the head of the fish. 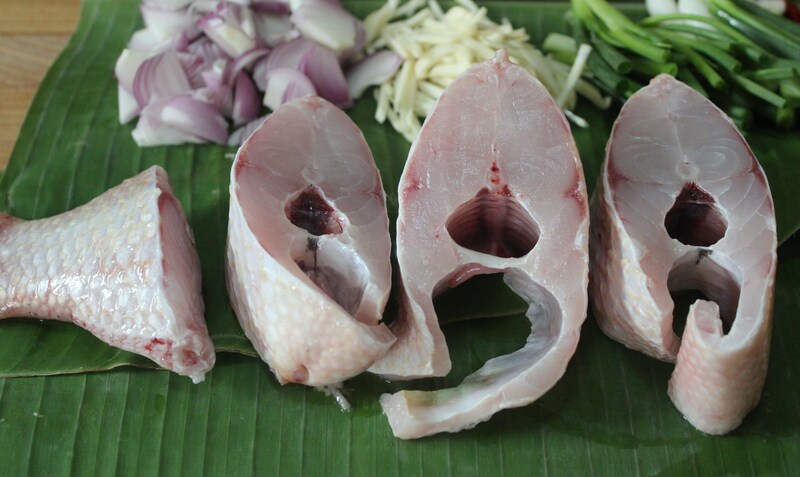 Each fish is cut into two halves. So, I get 4 medium size pieces. 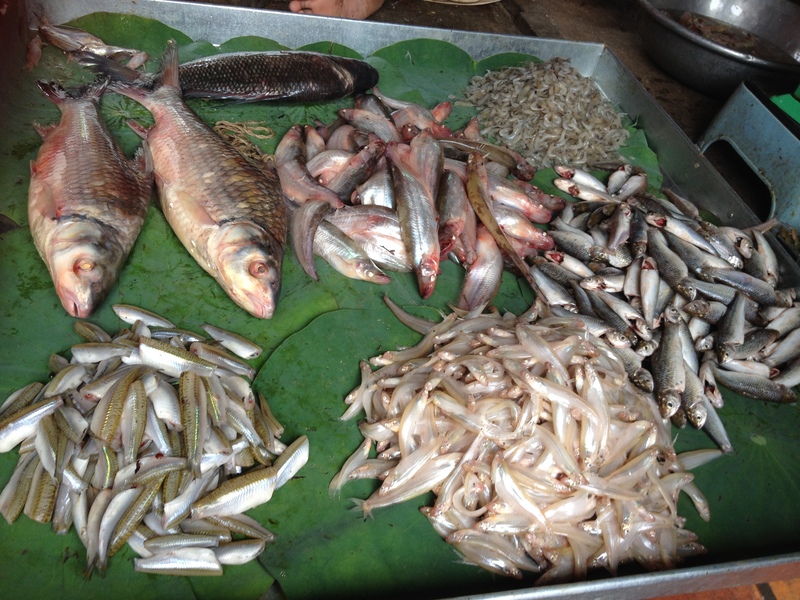 How many fishes to be used, depends on how many pieces each member would need. 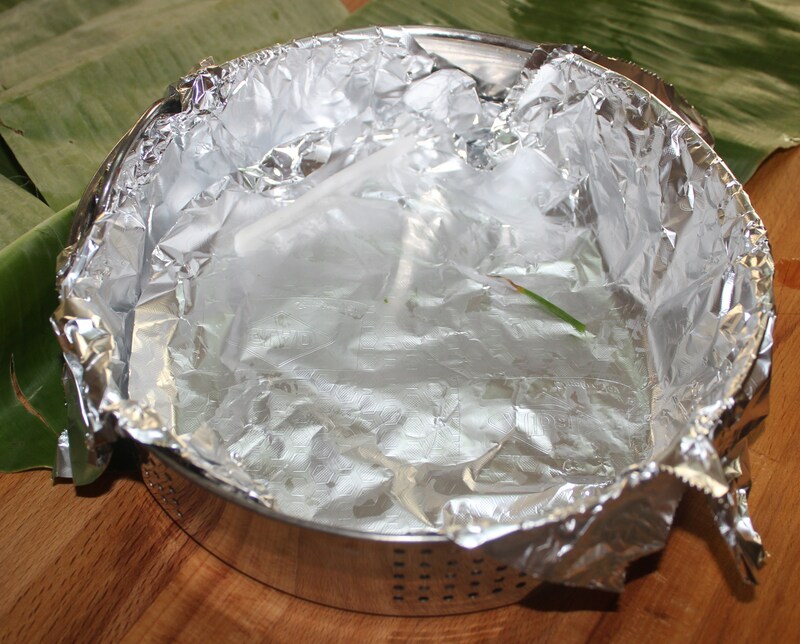 3. any preferred vegetable of one’s choice but I’d avoid those which let out water like cucumber or guards. 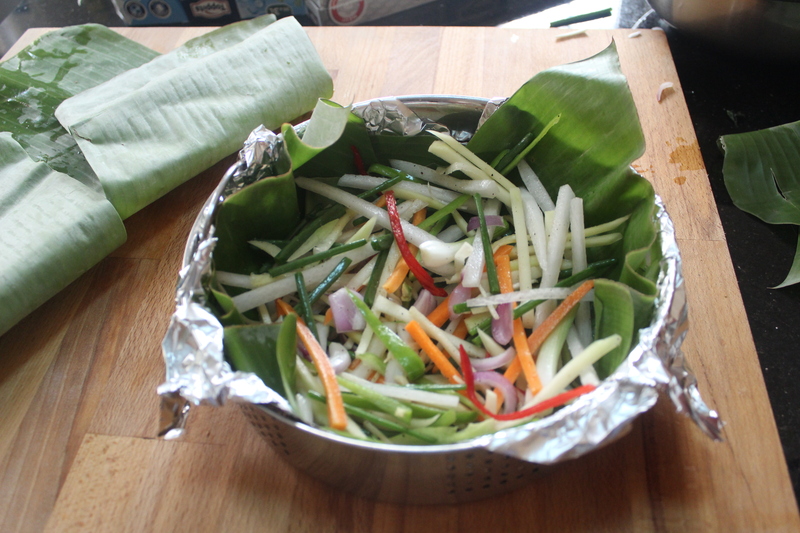 Previous Post Pongal In Cambodia – 2014!